Hey all! Many of you might know me as Aurora Christie on facebook or @savingsunsets on instagram, thank you so much for giving me a chance to reach out to you all, my wonderful friends. Let me just get right into explaining the urgency of the matter. My family is currently in a very tough situation with the oncoming of Michigan winter. Recently my family's roof has started to deteriorate. Financially it has been impossible to fix, short of being covered in tarp. Hitherto my parents occupancy, whoever lived there applied new shingles without removing the old ones, which in turn caused a lot of damage. Since we live in Michigan, the weather gets pretty crazy and there's a lot of rain, and worst of all, snow. 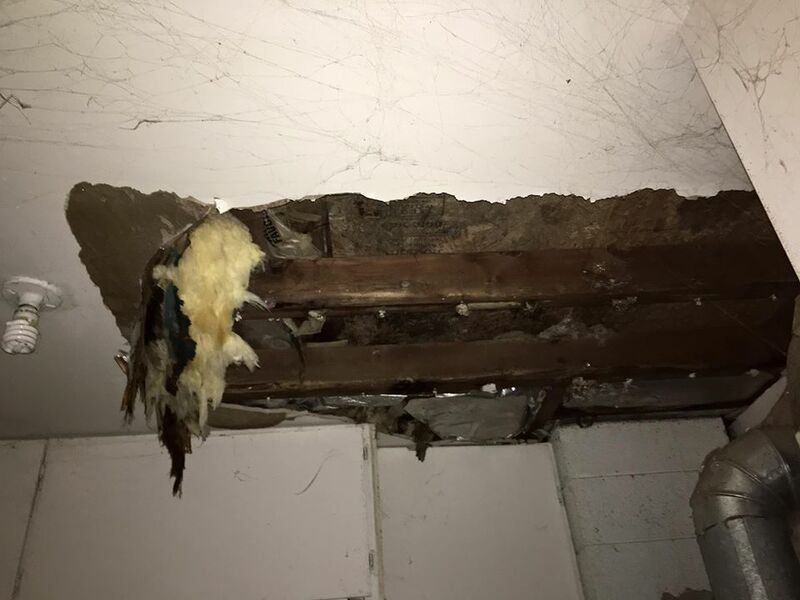 So far they have had to deal with serious leaks which is causing severe damage to the inside of the house, and within the past couple weeks part of the ceiling in the kitchen has completely collapsed, leaving the bones of the roof exposed. 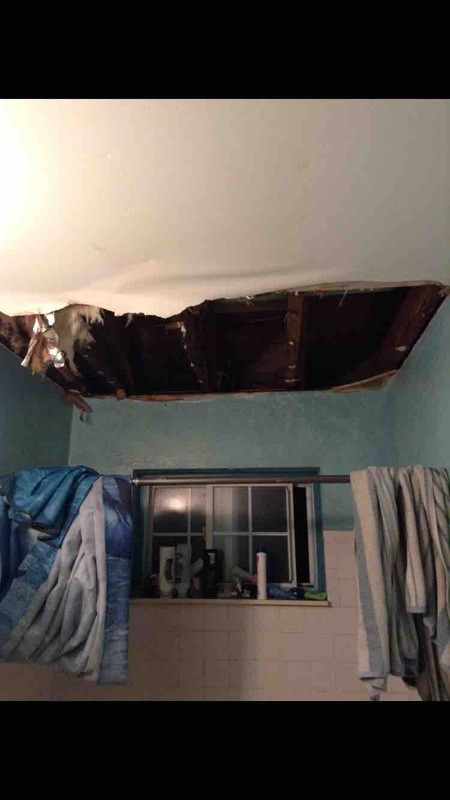 Update: the laundry room ceiling has also just collapsed and almost hit my mom and the way down. You can even see the stars through the cracks, as pictured above. On top of the house problems, the only family car has recently completely died and is undriveable, and the prospective car is around $3,000. Any money raised will go towards a new roof and ceiling repairs, and also (hopefully) towards a new family car. We as a family have always been uncomfortable asking for help but my parents have ALWAYS been the first to reach their out hand to help another, no matter their situation. Anyone who has met my parents can attest to their generosity. But at this point I see no other choice. The household itself lives off of my father's income, who is currently in an apprenticeship to become an electrician (so his pay has been cut in the process since he can no longer work overtime). My mother is unable to work, as is my older brother. I no longer live at home, but I have acquired many steady and odd jobs: two part time retail jobs , weekend art shows and festivals for my Aunt, dog sitting, and promoting small shops on my social media. But in today's economy, as well as trying to make it through college, it's nearly impossible for a 19 year old to save enough money to fix something as gigantic in proportion as this. 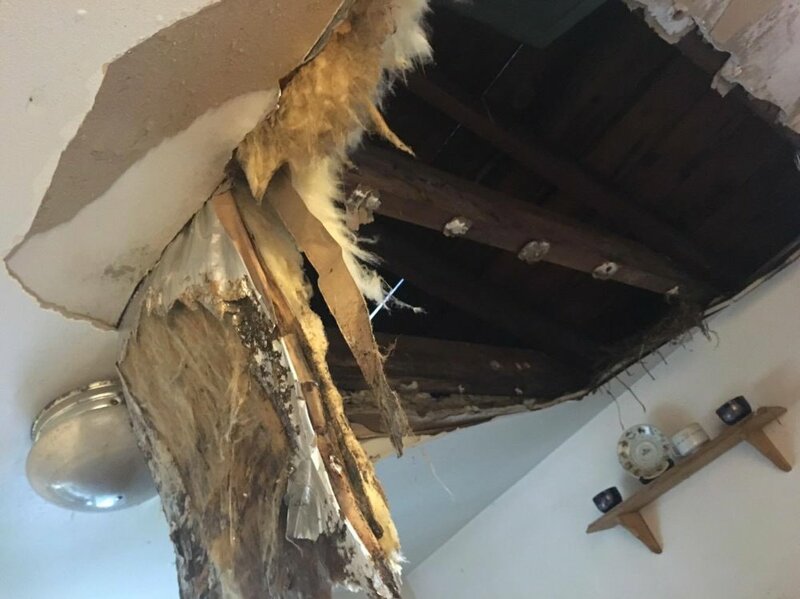 My dream would be to have enough funds to get the roof completely replaced before winter hits, as I fear it could be disasterous both physically to the house, as well as mentally and medically to my loved ones. 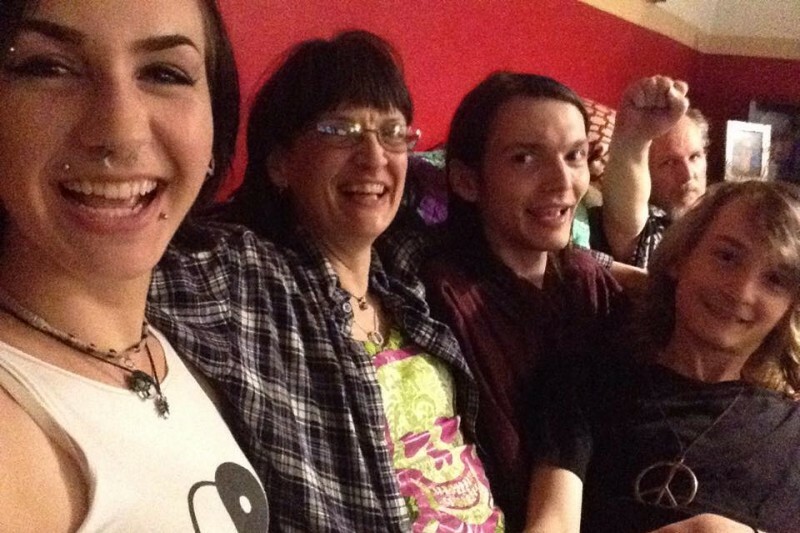 Delving into my family for a quick moment I should express that my mother has chronic pain (fibromyalgia) and migraines and is sensitive to weather changes, as is my older brother who lives with hydrocephalus(as well as autism, so a safe environment is crucial for him to thrive). I urgently NEED a new roof for them in regards to their well-being. Let me be clear in the fact that this is NOT my parents asking for help, but me, as their daughter, asking on their behalf. I appreciate every second of your time and every dime you can offer. As you can see by the reward levels below, I will be offering certain things depending on the amount you can give, starting with hand drawn portraits, other levels may be added slowly as I think of them. Thank you all so much, I love each and everyone of you. We shingled the roof! But we still owe about 1.5K on it and still have the facing, gutters, and ceiling to go. Thank you all so much for your support!!!!! I've withdrawn about $1100 to work on the roof this weekend, this pretty much covers the materials just for one side, which is awesome! However we still have 3 to go and now have to repair damage to 3 different holes inside the house. Single photo retouching by Kayla rose. Message on fb for details! Currently waiting on materials, turn around time is 3 weeks. Hand painted bats or roses (or other similar designs) contact on fb for more info! Profile picture, cover photo, youtube banner, and featured photo for Facebook by Kayla Rose, message on fb for more info! Perhaps I've been in a alternate universe, ya, let's say that, because I just say Aurora's post on this! I mean, I knew that Raven was working on the roof, but, I thought it was just because he's handy, not the dire circumstances! Best luck in this endeavor! I'm so grateful for the opportunity to participate. Love this family SO MUCH!